I thought since I had been missing for a few days I would give you something special and fun :). My husband has been asking for pie and so this is pie...kind of. It would be a great dessert with some ice cream or a breakfast with some yogurt. All filled up with pecan pieces and yummyness (technical term). I was thinking of tossing in a few chocolate chips but I forgot. It didn't need them anyway. 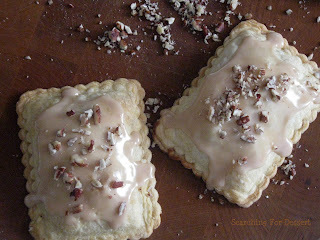 I have the toaster pastry press from Williams-Sonoma (it's on sale online right now) and I've been itching to use it. So, I came up with these, because who wants just strawberry. I had also wanted to have an orange brown sugar glaze with some fresh orange zest but didn't have the orange and wasn't able to get to the store by the time I thought about it. You could always toss in maybe a 1/2 teaspoon orange zest if you wanted to. The recipe looks long but it doesn't take to long to put together so don't be afraid of that. 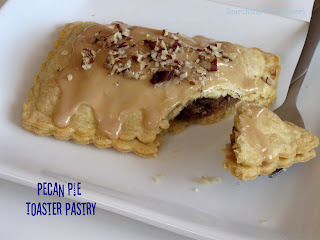 The thought that maybe the pecans on top could be caramelized but it may be to much sweetness and just toasting them might add additional flavor as well. So. many. options. Yay! Happy Baking! 1.Preheat oven to 350F. Place the flour, cinnamon, and salt in a food processor bowl. Pulse until blended. Add butter. Pulse until mixture is about the size of peas (10-15 times). 2. Mix egg yolk, vinegar, and water in a small bowl. Add into flour mixture while the processor is running. Pulse just until blended, do not over mix. 3. 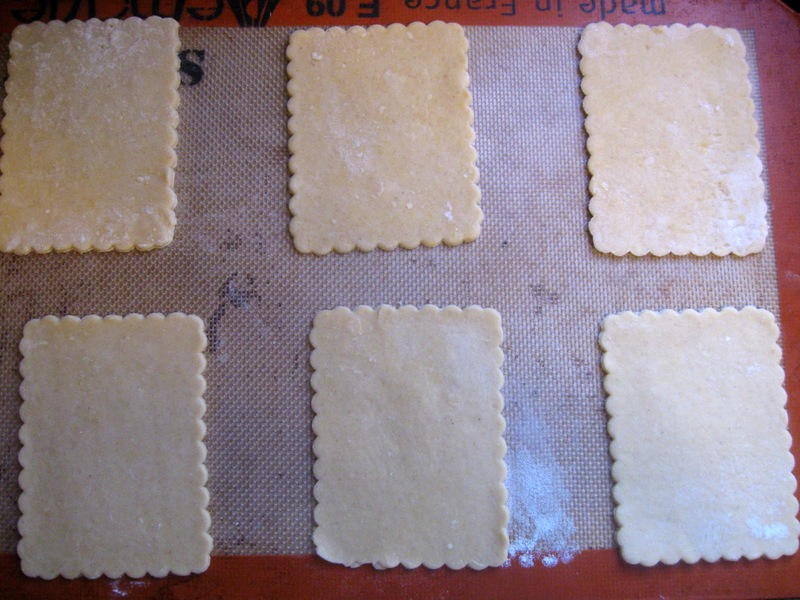 Roll out dough to about ⅛” thick and cut into 12 rectangles (all the same size, 6 tops and 6 bottoms). 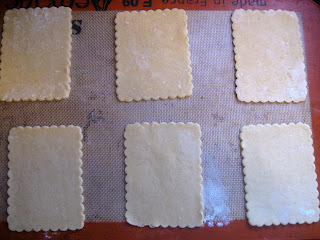 Place 6 pieces onto a baking sheet, set aside. 4. 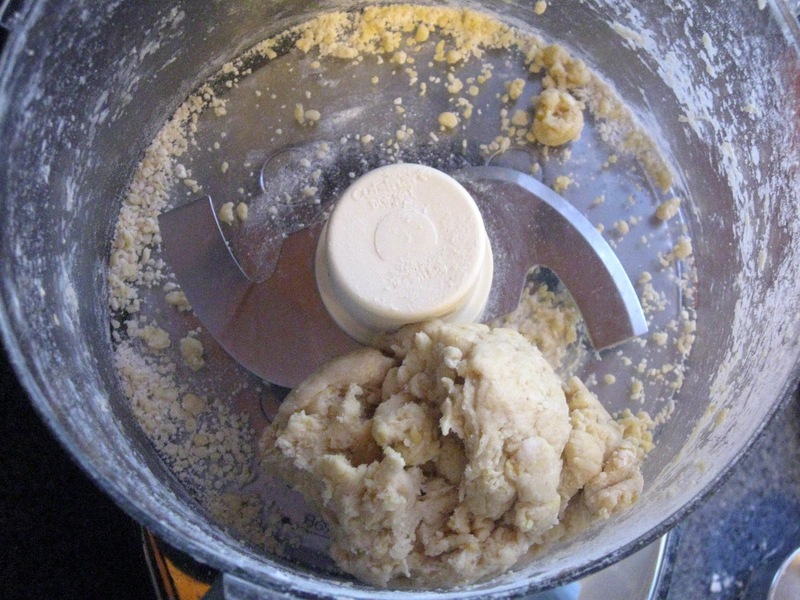 Make filling: In a saucepan, whisk together eggs and granulated sugar. Slowly add corn syrup, vanilla extract, and salt, blending until smooth. 5. Whisk in melted butter, rum (if you like), and 1 tablespoon flour. Stir in pecans. 6. Over medium heat cook until thickened, about 5 minutes, stirring constantly. 7. 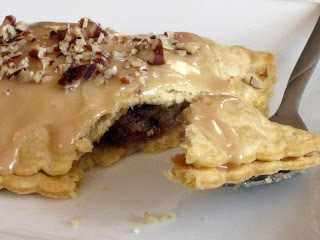 Once mixture is thickened place about 2 tablespoons of filling on 6 pieces of pastry dough (on the sheet pan). With a pastry brush or your finger wet the edges of the 6 pieces of pastry dough. 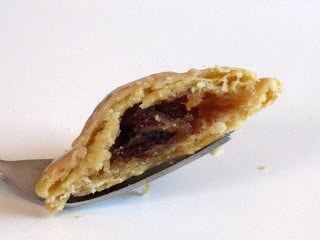 Place the other pies of dough on top of the filling and press with a pastry press or a fork to seal the edges. 8. Bake about 20 minutes or until golden brown. 9. Whisk together powdered sugar, brown sugar corn syrup, vanilla, and water until well blended. 10. Divide evenly between the pastries spreading on top of the pastries.